On workout hikes near the house, I go up or around isolated, 4,959 foot Picacho. 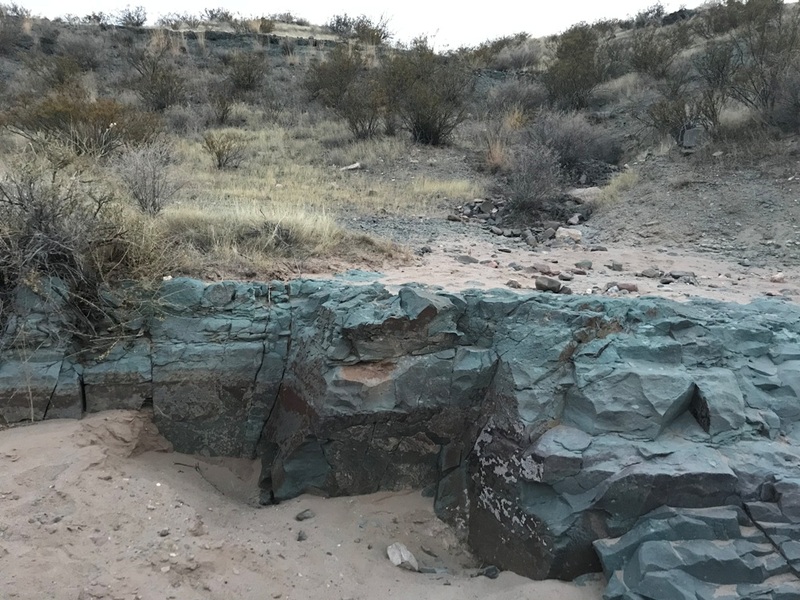 Since my first time 2 years ago, I’ve noticed the bluish rocks near the bottom and along the arroyo. 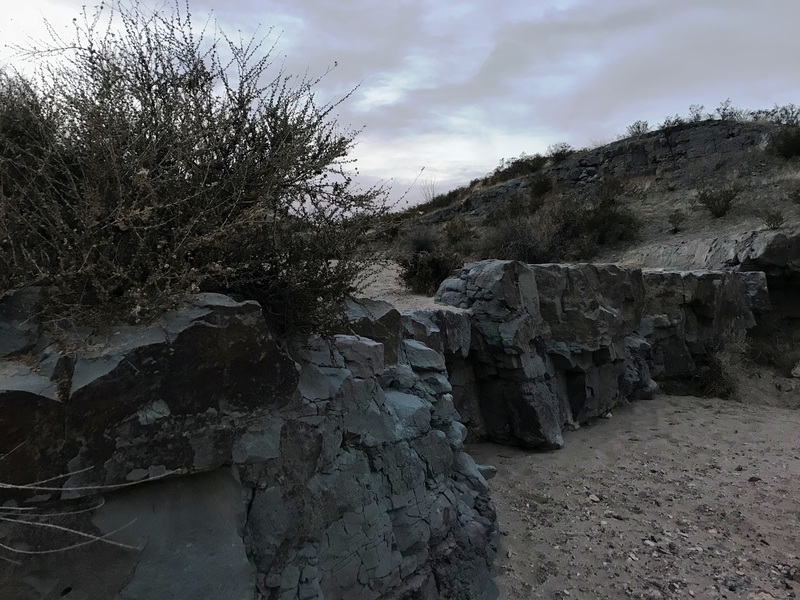 Some dormant Aloysia wrightii makes quite the austere contrast to the blue areas. My first visit, I thought someone dumped blue paint into the arroyo from nearby home construction. Picacho is volcanic in origin based on rocks apparent in many areas, with the bluish rocks appear to be volcanic tufa. 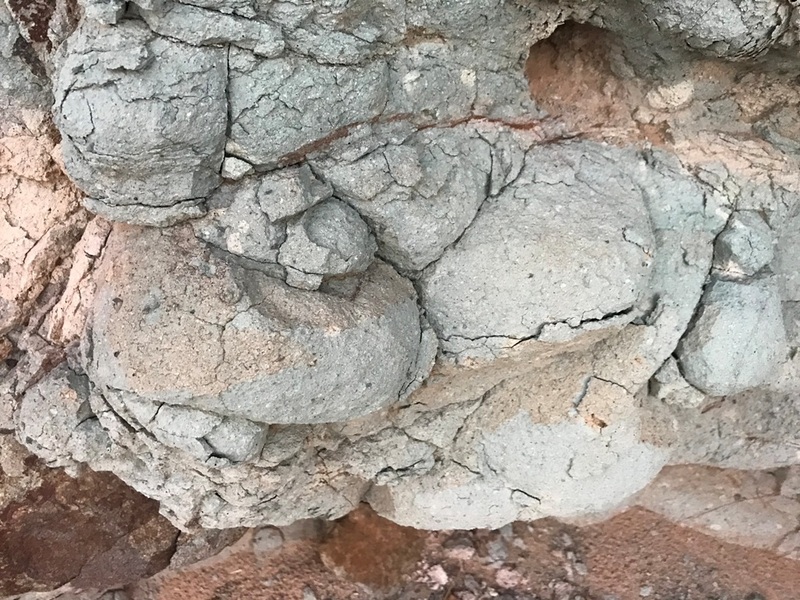 The tufa I’ve seen tends to be more tan. 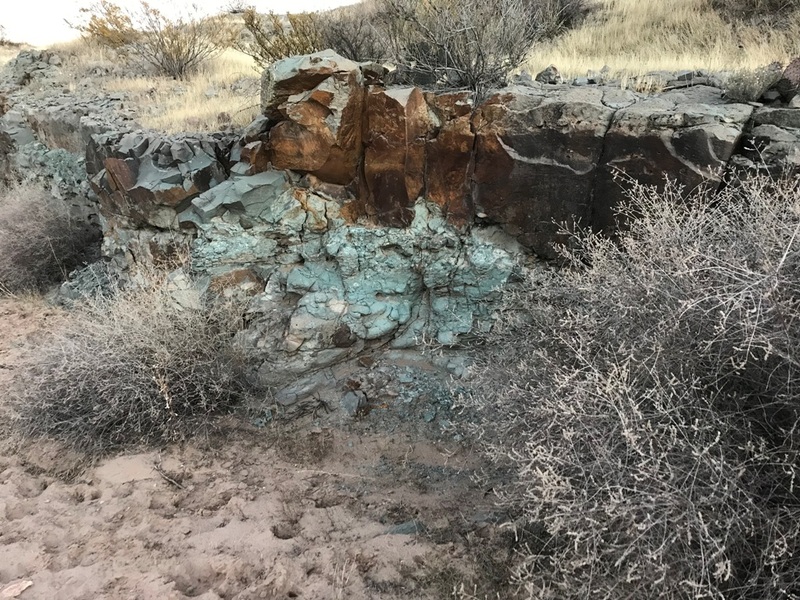 I haven’t located any information sources on bluish rock, the geology of Picacho, or even regional information on geology covering Picacho and bluish rocks. Decide for yourself, as I’ll keep researching. 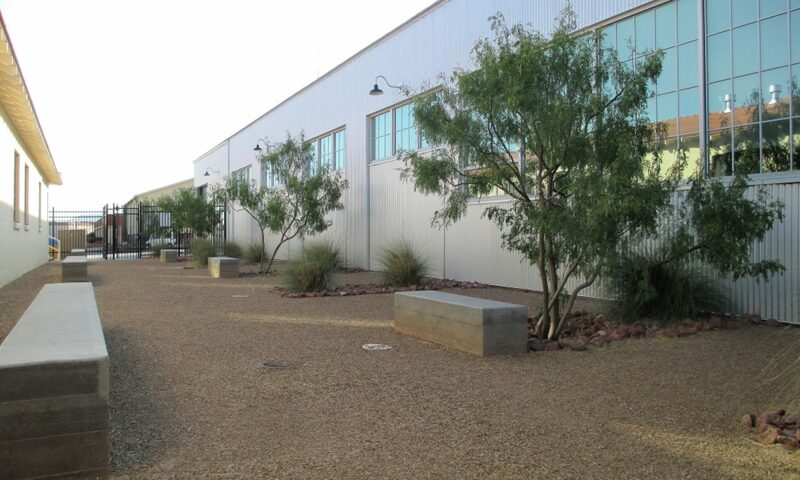 Now that I live well inside the Chihuahuan Desert, not it’s upper edge, I see many plants far more often. 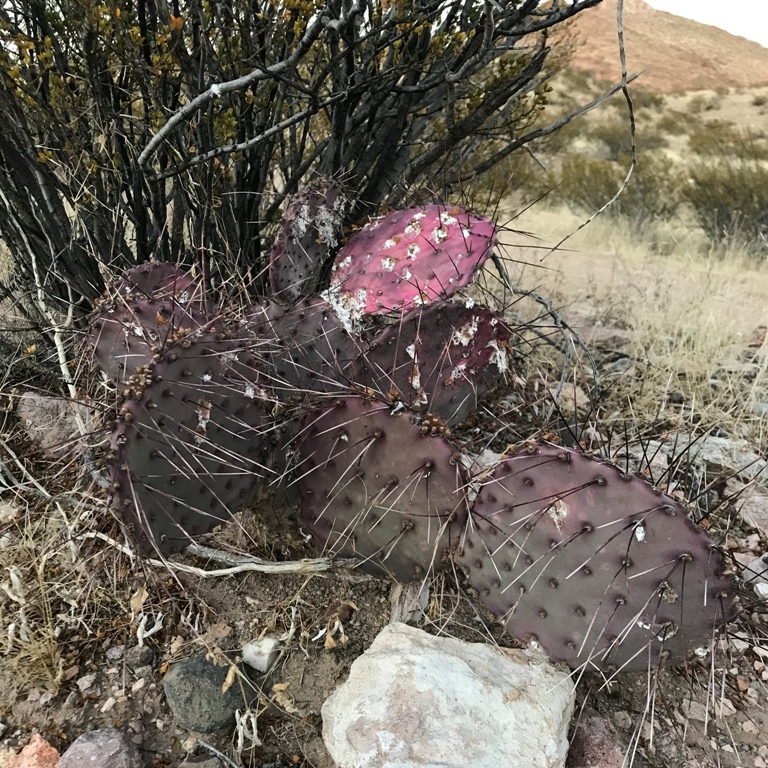 Hiking or driving around town, one gets my attention for how common it is: Opuntia macrocentra / Purple Prickly Pear. Some like the name Blackspine Prickly Pear, though the latter is not as consistent of a trait in the zillions I see. 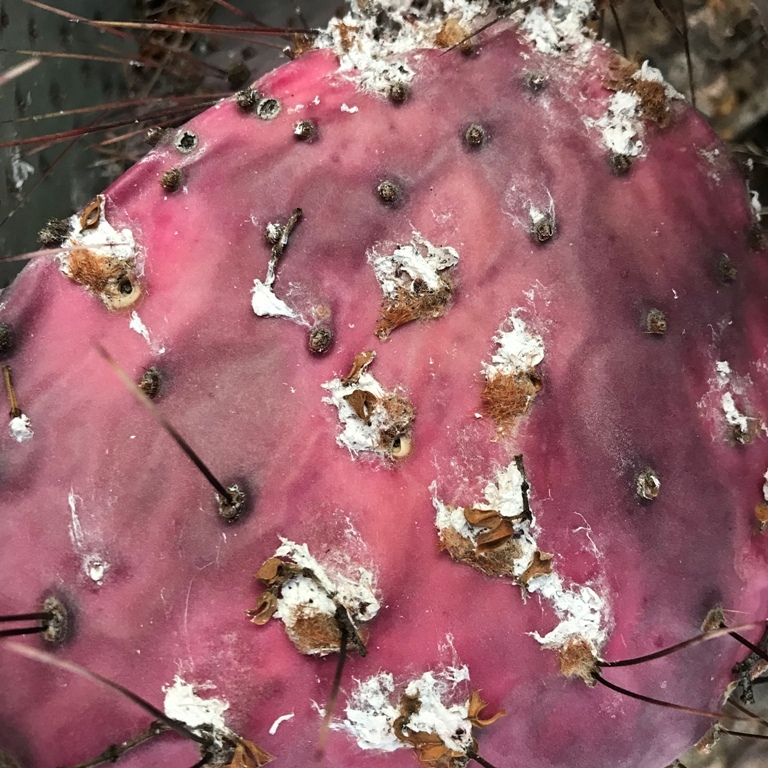 This cactus, like the occasional Opuntia in my region, is covered in cochineal. Opuntia macrocentra is found most anywhere in the wild in Las Cruces, often under creosote bushes, and in either sandy or gravelly soil. In gardens, though, it’s more common in Albuquerque than Las Cruces, where it’s rare in the wild. This time of year, when it’s dry with nights usually below 32F, it turns a purple color. When it’s really hot in early summer, and it hasn’t rained in weeks, it also can be purple.